Here are ten Lightning Fast Suggestions For Locating a Trusted Harrison County roofing contractor. 1. Ask your friends and neighbors, who may have recently have had work completed on their residence, for referrals. 2. Check with the Better Business Bureau, and your local chamber of commerce. 3. As soon as you have identified a several promising roofing contractors, ask them local references. And, follow-up with these past clients, and inqurire about their encounters with the roofer. 4. Be sure the roofer is certified, bonded, and insured for work in your area. The roofing contractor should be able to show you with copies of these requested documents. 5. Check for warranties and guarantees on both materials as well as the quality of workmanship. 6. It is highly recommended work with a local, well established company with a permanent local address. After severe and/or widespread violent storms, it is unusual to find out-of-state roofers soliciting a neighborhood looking for work. Be sure to proceed with caution. 7. 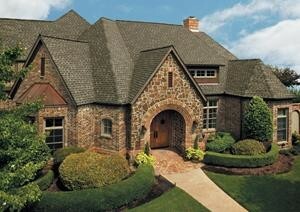 Obtain an itemized, written roofing repair estimate. This roof repair estimate must include the cost of the entire project, permits, scheduling, materials, cleanup, as well as warranties and or guarantees. 8. Confirm that the roofer is experienced with the type of roofing material that will be used on your residence. 9. Verify that the roofing contractoris registered with the maker of the roofing materials that the roofing contractor will install. 10. 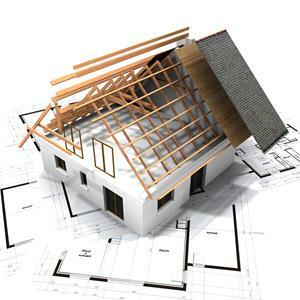 When the work is complete, be sure to obtain a from the roofing contractor. This confirms that the roofing contractor has paid the manufactures of the materials for the materials utilized on your project. Understand that your roofing contractor ought to be your ally, acting on your behalf as an adviser who has your best interest in mind. By performing some homework in advance, you’ll help ensure an effective experience for everyone engaged in the project. If you’d like to schedule a roofing inspection of your property to identify particular concerns or assess all round condition of your roofing, get in touch with More Than Roofing. We certainly are a family-owned and also operated Harrison County roofing contractor that’s located in Gulfport, Mississippi with more than 50 years of local community experience in residential and commercial roofing. We offer cost-effective, expert roof repairs, replacement and installation services. And, we pride ourselves with high quality workmanship, reliability & honesty we provide to our customers!